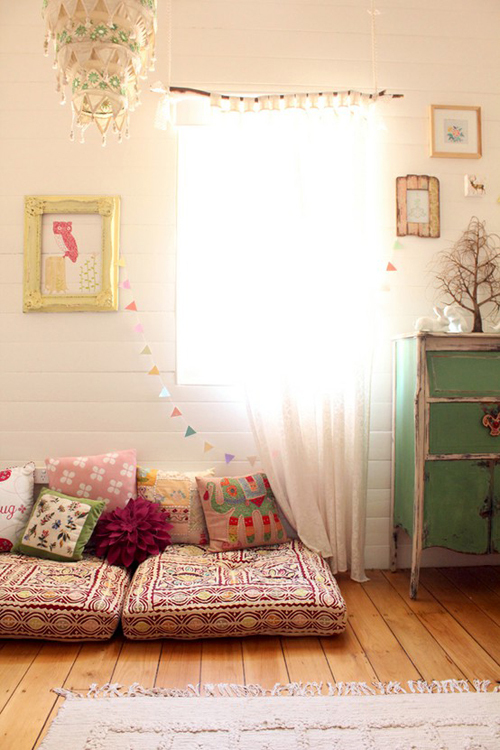 Today I’m loving … this very lovely girl’s room. This room created by Claire for her baby daughter Eulalie is one of the prettiest I have ever seen. Really nice room, I love the light fixture and dresser! Very lovely! This one went straight to pinterest 🙂 thx! So bright and cheerful. I’m really loving that curtain rod too… Thanks for sharing! Lovely, I publish this room a little while ago but didnt know who belonged to. Thank you for letting me know.